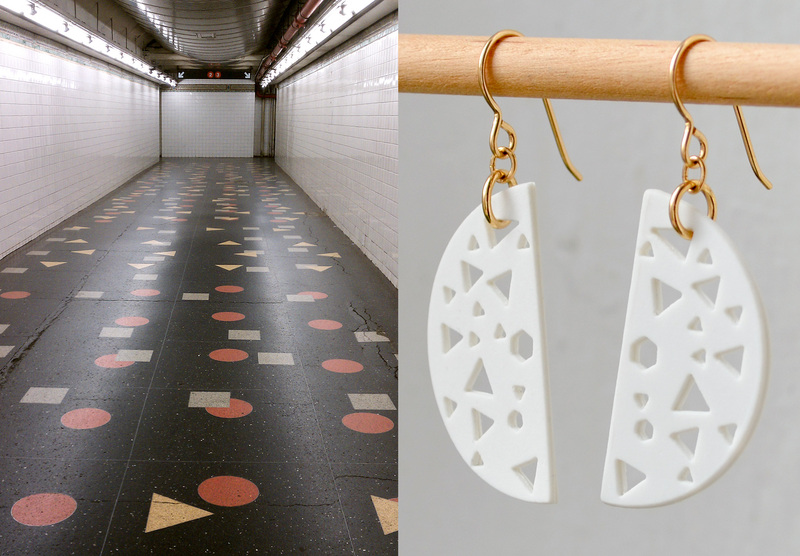 Inspiration from a Brooklyn subway station for our geometric porcelain earrings. Anyone know which station? !